What is Innovation Resource Management? 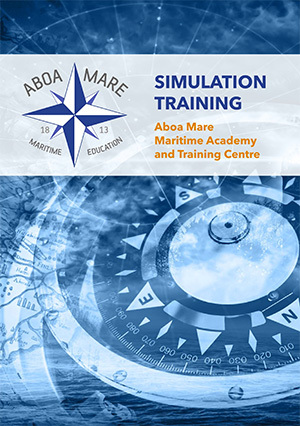 IRM in ”IRM-Tool” comes from the words ”Innovation Resource Moderating”, and it has got its initial idea from world-wide arranged ”Bridge Resource Management”-course, nowadays also called as ”Maritime Resource Management”-course that is arranged for all maritime and aviation professionals and students. Many professionals take the course several times to keep up the required quality and safety protocols in their management. The course comprises of real cases, and participants learn the basic steps and processes how to handle tough and surprising situations. ”Innovation Resource Management” instead is a field of science that is not even studied yet. IRM generally stands for Information Resource Management, and theme of Resource Management and Innovation Management together is usually discussed under Human Resource Management. It is all important, but the research lacks of consistent processes, protocols, and steps of action; how to ensure that all innovation potentials are utilized in the organisation, and how the innovation resources could be enhanced in different stages of innovation processes. This where creative know-how can be utilized. IRM-Tool project builds its activities to innovation theory based themes. The themes derives from the text written by Alf Rehn. Innovation theory is applied to maritime industry context shortly and simply. During 2018 the themes are applied in co-creation workshops, but also in multimedia production, e.g. videos that explain, describe, or tell a story about innovation challenges, or opportunities in maritime industry. Videos are produced during 2018, and transcripts are based on both innovation theory, and practical cases and stories that are collected by interviewing maritime industry companies during Autumn 2017 and Spring 2018. The themes are also applied to finalizing the IRM-Tool, to be launched in 2019. 4. Products, services or systems?